In matters of global conflict, who is held accountable for destruction? Which lives matter? How is death redeemed by more death? And when is the loss of innocent life acceptable? The complexity of those questions is the reason diplomats from every nation work overtime to minimize the headlong rush into war. It’s also the reason most of the Avengers (Hulk and Thor are on sabbatical) spend the bulk of “Captain America: Civil War” fighting among themselves. For audiences feeling burned by the superhero brawling in “Batman v Superman: Dawn of Justice,” just hang on — it’s not what you’re thinking. Unlike DC’s recent franchise brick, a film that spent an inordinate amount of time mulling over issues of personal enmity against an incoherently darkened landscape, and that offered little more than lip service to the matter of collateral damage, “Civil War” is an addition to the Marvel Cinematic Universe that, yes, moves its good guys to battle each other, but does so in the service of establishing a future of superhero responsibility. After the loss of innocent life in Sokovia in “Avengers: Age of Ultron” and a first-act fight here that kills even more bystanders in Lagos, Nigeria, the Avengers face the condemnation of the global community, moving the United Nations to create the Sokovia Accords. Their purpose: regulate superhero meddling in international turmoil. Vision (Paul Bettany) sees the logic in this process, explaining to the others that the emergence of more and more “enhanced” humans has meant a concurrent rise in planet-threatening emergencies, and that the Avengers’ very existence is, possibly, an inciting event. Steve Rogers/Captain America (Chris Evans) refuses to sign the accord, convinced that the Avengers’ independence is the only way to address trouble before it becomes catastrophic. As lines are drawn, and team members choose sides, Bucky Barnes/The Winter Soldier (Sebastian Stan) returns, as does a man named Zemo (Daniel Brühl), who has more than a passing interest in Barnes’ activities. Zemo’s agenda necessarily involves the upstanding Cap and his decades-long loyalty to Barnes, in scenarios that threaten to turn the man with the vibranium shield into the very kind of vigilante he is not. More emergencies, more complications and more new characters pop up — all of which may or may not be surprises, depending on how deeply immersed you are in the teasing, hyperactive, pre-release dispensing of information nuggets — and the Civil War is on. Corporate filmmaking with an enormous economic investment at stake has the power to force creative people to operate within the art-destroying prison walls of a marketing strategy. But the Marvel Cinematic Universe, an empire building itself on a foundation that roughly amounts to a house style, tends to stay relatively on balance. Screenwriting team Christopher Markus and Stephen McFeely (responsible for the previous two “Captain America” films) efficiently move plot blocks into place and check off interlocking points of order, but they do so while never forgetting that their characters are more than brands to build. These enhanced humans are still human and have relationships with one another that exist beyond the boundaries of global crisis. Given permission to be more than objects resisting other objects against a green screen, the cast members give themselves to each other, their screen clan generously expanding to include newer characters like Wanda Maximoff/Scarlet Witch (Elizabeth Olsen). And Evans’ performance — it’s his character’s film, after all — is the center; his story line is the one most beset by internal conflict, and his empathy for the torn loyalties of Cap is moving in ways that don’t derail the action’s urgency or pull focus from the otherwise ensemble nature of the larger project. Directors Anthony and Joe Russo (“Captain America: The Winter Soldier”) continue to mine their experience with television comedies like “Community,” “Arrested Development” and “Happy Endings,” juggling all the members of their superhero family with a playful touch that both informs character interaction and delivers vital breathing room in between battles. Cinematographer Trent Opaloch (who collaborated with the Russos on “Winter Soldier”) and editors Jeffrey Ford and Matthew Schmidt (“Avengers: Age of Ultron”) create spaces for hurtling bodies that are coherent and uncluttered; nothing gets lost to the fight-blur that plagues bad action direction and editing. The film tangles itself up with fears of endless war and the annihilation of innocent humanity, and in doing so it continues to validate the ongoing series. It’s a fact of movie history that films are created as both a response to, and a product of, the larger world. 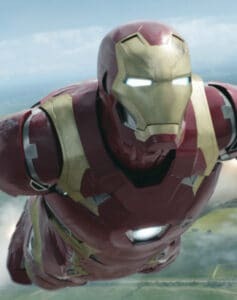 And superhero movies, which are the current cinema’s site of obsession over anxiety-making issues of global safety, must continue to address the unthinkable if they’re to be more valuable to culture than mere moneymaking products on an assembly line, or retreats into childhood nostalgia that only pretend to be making sense of the environment that produces them. “Civil War” strikes that admirable balance: serious-minded action that never forgets to indulge in serious fun. Fans, critics and comic-book guys have gotten their first looks at "Captain America: Civil War" and the initial buzz is very good. Here are some of the first reactions. "Just home from Captain America: Civil War. It is SPECTACULAR!!!" tweeted "Deadpool" creator Rob Liefeld. "Great twists and turns throughout the film. It really is a total blast. Go in with as little info as possible. You'll be amazed!!" "I believe it is Marvel's best movie to date. And that's saying something," Liefeld added, who also tweeted: "BLACK PANTHER!!!!! 'Nuff said." 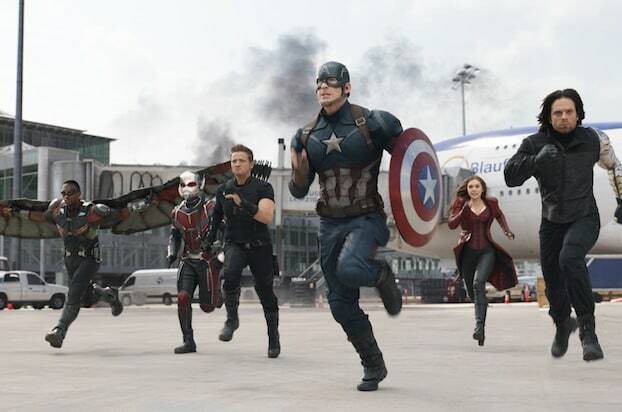 "If you're a 'Winter Soldier' fan, you're going to love 'Captain America: Civil War.' Also it's going to be the biggest movie of the year," tweeted Ed Brubaker, a longtime "Captain America" comics scribe, including during Marvel's “Civil War” storyline. Brubaker got hundreds of retweets for that comment, but not as many when he hedged: "Until 'Star Wars: Rogue One,' at least." "Well the world premiere of Captain America: Civil War was amazing!!! ... It's a much watch!" tweeted singer/songwriter Mikey Bromley. "I honestly don't know how 'Civil War' works. There's so much going on but it does. Spidey is AMAZING. Made me smile & laugh till my face hurt" tweeted i09's Germain Lussier. "Get excited for @CaptainAmerica #CivilWar Fantastic Characters, Amazing Action AND it contains the best comic book movie fight EVER," tweeted Honest Trailers creator Andy Signore. "Really incredible character work in #CivilWar. Spider-Man, Ant-Man & Black Panther kill it & Wanda/Vision & Bucky/Sam dynamics are wonderful," tweeted Cinemablend's Eric Eisenberg. Is "Captain America: Civil War" as good as these people say? We'll find out when the film opens May 6.